It seems there are perhaps as many roads to Rome as there are 50mm lenses and their approximate equivalents – these are just some of the examples I’ve owned and/or used in the last five years, and is by no means extensive. Off the top of my head, missing are the ubiquitous Nikon 50/1.4, which I’ve owned in three versions; the 55/1.2 pre-AI; the 50/2.8 Micro-Nikkor; the Leica 50/2 Summicron; the Hasselblad CF 4/50 FLE, the Pentax 645 55/2.8 SDM – I could find images of these lenses I’d shot previously – and we haven’t even talked about other brands or extending the envelope downwards, to say 45mm or equivalents in other formats (e.g. 25mm on M4/3, or 35mm on APSC). So why the fascination with and proliferation of lenses around this range? I believe the first reason for going fifty is almost always price: there’s nothing else that gives you the same bang for buck. For the major brands, $105 is about the lowest cost of entry I’ve seen – that’s for a new Nikon 50/1.8 D, which will even autofocus on any body with a focusing motor. Canon does one for $125 that works on any body. Nikon has a $195 version with a silent wave motor and full time AF override plus aspherical elements, too. They’re probably the cheapest second lenses you can buy for your system camera right after the kit lens; even cheaper than the ubiquitous f5.6 telephoto zooms. Coupled with the price is the easy access to a surprising amount of background blur: unfortunately, bokeh is still perceived by a large portion of the public as the holy grail of photography. A 50/1.8 on an APS-C body shot wide open will yield plenty indeed; even more with an f1.4. From the perspective of Average Joe, it’s no wonder we’ve got a winning formula. Even in this age of kit zooms, some 10% of all lenses sold are 50s – that’s huge. 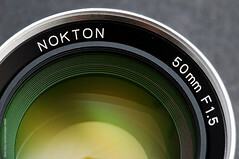 From an engineering and optical standpoint, the 50mm lens is probably the easiest of the lot to make acceptable: it requires no fancy telecentric or retrofocal groups; it doesn’t have physically large or heavy elements, and they generally don’t require the same apochromatic correction as telephotos since the magnification is much lower. Even typical helicoid throw is modest since not a lot of movement is required to focus down to about half a meter or so. You can make a decent ‘slow 50’ with as few as three or four elements; most of the modern ‘fast’ 50s are double-Gauss designs or derivatives thereof, with a 7/6 or 6/5 design. Most 50s – even the 1.4s – do not have aspherical elements, either. Even more of them use plastic or moulded hybrid elements to keep costs down further. From a manufacturer’s standpoint, they are cheap and profitable to make – plus they don’t require particularly tight tolerances or quality control. A really excellent ~50 is no easier to make than a lens of any other focal length. Apochromatic correction and aspherical elements are still required for high cross-frame performance and especially at large apertures. 50mm is wide enough that you still run into coma issues at the edges – the Nikon 58/1.2 ‘Noct’ famously had a hand-polished aspherical element to mitigate this. Modern designs for maximum performance like the Zeiss 1.4/55 Otus APO-Distagon, Leica 50/2 Summicron APO-ASPH and Leica 50/0.95 Noctilux ASPH are much more complex. The two Leicas are 8/5 designs with high refractive index, aspherical and floating elements for close distance correction; the f0.95 doesn’t even focus closer than 1m and the f2 has extremely tight tolerances that must be met to avoid flare or obvious astigmatism in images. Even the Sigma 50/1.4 ART uses a complex 13/8 design. The 55 Otus takes it even further with a 12/10 formula, aspherical, high refractive index and floating elements, near focusing to 0.5m, and telecentric/ retrofocal construction based off a wide angle lens formula instead of a modified double-Gauss for better edge performance. Does it show? Yes. Are you always going to see the difference? Honestly, no. Whether the diminishing returns game is worth playing* is something only you can answer personally. *Nikon 50/1.8D, $105. Nikon 50/1.8G, $196. Nikon 50/1.4G, $397. Sigma 50/1.4 ART, $950. Nikon 58/1.4G, $1,697. 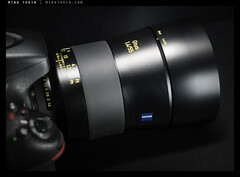 Zeiss 1.4/55 Otus APO-Distagon, $3,997. Leica 50/2 AA, $8,250. Leica 50/0.95 Noct ASPH, $10,745, or $11,350 if you want an even heavier chrome version. The 1.8G is quite noticeably better than the 1.8D, but the 1.4G actually has slightly weaker corners than both 1.8D and 1.8G. The Sigma Art is better again; the Nikon 58 is an anomaly; the Zeiss is marginally better than the Art especially in microcontrast and corner resolution at f1.4…you can see where this is going. Undoubtedly there are some bragging rights involved in offering an f0.95 lens, or 200lp/mm resolving power, or zero chromatic aberration. But somehow I doubt there are sufficient photographers able to consistently extract this level of performance or sufficient numbers of connoisseurs able to savour the different visual textures of a Tessar vs a Distagon to justify making this many flavours. A quick search for say 28mm or 135mm lenses reveals far fewer choices, for instance. I think the fascination with 50mm goes a bit deeper than pragmatism. Many parties are guilty of perpetrating the myth that there is a ‘natural’ focal length that corresponds perhaps with the human eye or the diagonal of the format; certainly, having a common lens that is longer in FL than the diagonal of the format (and thus the mirror size, and flange distance implications) means easier lens designing. Our eyes are clearly capable of focusing on a very narrow area with some degree of concentration, or taking in a much larger scene thanks to their unique construction and the processing power of our brains. There are some limits to this, of course – my best guess is somewhere between 24 and 150mm or thereabouts. 50mm on a 36x24mm imaging area corresponds to a field of view of approximately 40 degrees horizontally, 27 degrees vertically and 47 degrees diagonally. Whilst these numbers in themselves tell us very little, it’s worth noting that practically, shorter focal lengths tend to start emphasising foreground objects in an increasingly noticeable way, and anything longer starts to compress things into recessed layers. I think it’s less about 50mm being ‘normal’ and more about 50mm being the crossover point between wide and telephoto. This is interesting: it means that like our eyes, we have the ability to capture a scene with the impression of a wide field of view or a narrow one. Depending on both how we arrange elements spatially within the two dimensional projection onto the image (composition) and the physical distance of the original subjects, a frame shot with a 50mm lens – or rather a 47deg-ish diagonal angle of view – can appear to us as though shot with a wide and a prominent foreground (subject close to camera, background very distant) or a tele and a recessed one (subject and background relatively close, both further from camera). Clearly, this makes such a lens a very flexible tool from a compositional standpoint. If I could only have one focal length, I’d be torn between 28 and 50mm – and the latter would probably win because you can always stitch to go wider. Cropping, on the other hand, just lands up throwing away image quality. Unfortunately, it also makes it a very difficult lens to use and an even harder one to master: if you don’t consciously decide on a strong foreground or a layered/compressed background at the time of capture, you’re likely to find there’s nothing particularly standout about the resulting compositions at all; worse still, too much bokeh and you might as well have shot your subjects in front of a fixed backdrop. A good tip to remember is that if your subject is close, then stop down – it will force you to treat it like a wide angle lens and search for elements of relevant context with which to fill the background; if you’re shooting wide open or with a distant subject, treat it as a telephoto and start looking for layers. For a very long time, 50mm (135) was a focal length and FOV I couldn’t really get my head around – it was neither fish nor fowl, not really long and not really wide. It did’t follow the rules, and that confused me. I owned many 50mms – including yes, my first non-kit lens, a 50/1.8D which I enjoyed greatly as a short tele on my APS-C D70, and two 50/1.4Gs, neither of which I liked much**. It took a lot of practice and analysis in the form of a year of shooting various 50s on an M9 and then the 55 Otus before figuring out what I was missing. I shoot portraiture and fashion for the most part, and have a bit of a philosophical discussion about photography as of late. My primary camera now is the Sony A7. I am happy with the image quality, but the photos seem kind of flat and lacking character. I realize that software filters can be a solution, but some cameras (such as Fuji) produce an interesting film-like look which appeals to me. However, I am not sure what the exact differences are that produces such a look. What do you think of the Fuji X series? Is there any merit to using a different camera for different purposes and different projects? Or, do you prefer to start with the sharpest, most neutral files possible, and then apply post processing to obtain the correct colour grading, mood, etc.? I use multiple cameras depending on the task at hand. Often on the same job. I can’t give my clients the excuse of ‘I used a different camera’ for inconsistent files; the short answer is what you’re looking for is in a) lighting b) profiling your camera and c) postprocessing. I don’t think the Fujis are going to be the solution; personally, I find the files rather ‘loose’ at the pixel level. Ming, I was wondering if you’ve tried and have an opinion on the Contax Zeiss 50mm 1.7 (MM version)? I’ve tried over 20 50mm lenses in the last 25 years and have found this one the best bang for the buck by far. To isolate a subject, I use f2 (rather than 1.7) with outstanding results. Stopped down to f8, the edge to edge sharpness is amazing. It’s hard to believe this goes for around $150. If you have not tried this lens and have a chance to in the future, I’d really be interested in your findings. Bill, as far as I am aware the MM version of the lens differs from the AE only in the aperture blades fitted, which differ between the models. Other than this I understand the lenses to be the same. Naturally, this lens was born in the film era and how well it would perform with digital sensors is another matter. The main potential issue, and as you will know, this applies to most older film era lenses, is the coating and how the sensor reacts to this. As a film lens, it was indeed superb, but as I have found with a number of my legacy glass, this is no guarantee it will translate into an equally fine lens on a digital body. Rather than waste money, I’d suggest trying one out first, if you can. Ming, thanks for responding. Terry, thanks for this info. The rating by Amateur Photographer Magazine doesn’t surprise me. 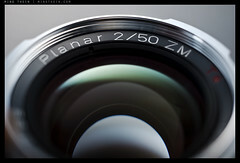 I do have a copy of this lens and there is a 3D effect when shooting at f2 I’ve yet to see with other 50mm lenses. Stopped down for architecture, it’s only matched by the Contax Zeiss 28mm 2.8 and the Nikon 50mm 1.2 AIS comes reasonably close. I would assume the newer ZE and ZF Zeiss 50mm lenses would match or exceed the image quality of the Contax Zeiss 50mm 1.7, although a direct comparison between these lenses would prove interesting. The small size and small cost of the Contax version are just icing on the cake. –	Each one tends to position itself at a « comfortable » distance to look at a photography. –	This distance vary with the size of the image, but the angle of view remains (approximatively) the same. 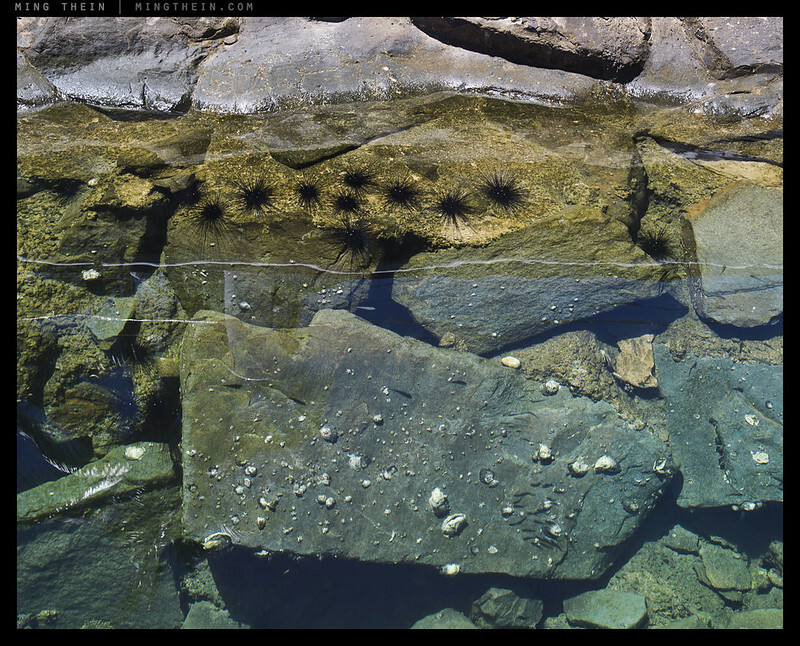 –	The « confortable » angle of view could vary (a little) from one viewer to another. –	Your « normal »focal length is the one which gives the same angle of view as your « confortable » angle of view when looking at a the photography. New posts have gone a bit quiet, so I’ll post one for your delectation. Has anyone really wondered why 50mm? You may have read that it is to do with simulating what the human eye sees, but this can’t really be it as the eye does not “see” the world the way a lens does. The FoV of the human eye is very wide, approximating to 180 degrees horizontally. Only fisheyes can do this. Whilst those with perfect peripheral vision can take this wide field in, we don’t look at our world at anything near this view, but concentrate on a fairly narrow beam and, importantly, for the point of discussion, narrower than the FoV of a 50mm lens, because outside of this narrow FoV the eye presents us with a blurred image. The eye is very selective on what it focuses. To seek out the answer, I delved back into some of my photographic literature, predominantly Leica, naturally, as it is to Leitz that the birth of modern 35mm film photography is given credit. Series production of the Leica 1 (Model A) started in 1925 (and ran to 1936) but it didn’t have an interchangeable lens mount. (This is important to our story.) That didn’t come until 1931 with the introduction of the Leica 1 (Model C) with a standardised flange distance. So, back to my question: why 50mm? Why not 40 or 35? From what I can gather, the first lens construction he examined very early on was around 42mm, so whilst this lens already existed, as we shall see below, it was passed over for a new, 50mm, design. If you are going to make an (expensive) camera with a fixed lens, there should be a sound reason to the choice of lens. And it is to Max Berek, who designed the lens, that we get our answer. Bear in mind that at its inception the 36x24mm negative was really small in comparison to most cameras of the time (it wasn’t the only miniature camera, of course) and its negative had to be enlarged to make a useful sized print. By comparison, most film and plate camera negs only needed contact printing. A lot of roll film cameras produced 6×9 negs, the same ratio as the frame format decided upon for the Leica, as Leitz/Berek wanted to show that their camera was capable of imaging up to the quality of this larger format. Berek’s brief was the design of a lens which was sharp enough to produce an image (print) and which when enlarged and viewed at a normal viewing distance c.25cm. would approximate the natural image perspective of the human eye. For this, he decided on 50mm. So it would seem it is only coincidental that it is around the diagonal of the film frame. We have to accept that this had a lot going for it. How else would other manufacturers have followed suit with their own 50mm designs if Berek’s design and reasoning was flawed? Hmm…that wouldn’t hold true anymore with increase print sizes or smartphone viewing since the distance changes (but probably not proportional to the size change), would it? The theory is still sound and it relates to the correct viewing distance of a print but which will, naturally, vary depending upon the degree of enlargement. Within the parameters Berek set himself his idea still stands. This is 1926 when enlargements we are used to today were rare and usually only for very special occasions. For the greater part of the film era people usually had enprints, PC or 6×4″ prints, and for the majority who bother to get their holiday digital images printed out I wouldn’t mind betting it is 6×4, even today. I’m also a big, big fan of 28mm FL and my most interesting lens was Nikon’s 28/1.4D Nikkor. 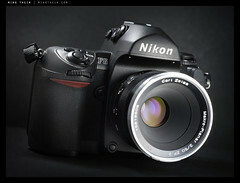 I’d love a new version, made with atributes similar to 58/1.4G Nikkor … that’d be one hell of a couple! The 28/1.4D Nikkor is/was the only AF 28mm lens ever made. I still miss mine, but I’m using a D810 now ond the 28/1.4D Nikkor just wasn’t optically good enough for such high resolution. I was wondering … besides the Nikkor and the new Leica’s Summilux-M 28/1.4, why is there no 28/1.4 lenses? I mean … Nikon is making 24/1.4&24/1.8 and 35/1.4&35/1.8 wide-angles (and 50’s and 85’s …! ), but for 28mm focal length there’s only a 28/1.8 version? Same goes for Canon, Sony, Pentax … The latest rumors also suggest a new Zeiss Otus 24mm f/1.4 Lens for a September release … again 24?! Why is that? You’re writing about the fuss around fifties, but there should be more fuss around non-existant high (image) quality 28mm lenses. I have no idea why there aren’t more; regular readers will know I’m a big fan of the 28mm FOV and own about six ways to get there. I suspect it’s because the marketing people have determined that 28mm is no longer ‘wide enough’, but it still carries the same engineering challenges as 24mm or wider especially for cameras with a long back flange distance. I find 35s much more forgiving than anything wider of grab shooting: Concentrating on the subject without too much concern for the periphery. Less complaints about being deformed, by those who happen to end up toward the edges in social settings etc. 35s may render wide as Ming says, but unless you really stick the camera in someone’s face, I find not obviously nor detrimentally so. Hence can perform reasonably when pressed into service as an indoor/constrained space/intimate 50. By the time you get to 28, at least for me, that “neutrality” is lost. And then, since I already have shelled out big for a fast 35, doing so again for a 28 is hard to justify. While a 24 is different enough to distinguish itself more obviously. Since this is a post about 50s, I’d also say I prefer, rather distinctly, a slightly tighter FOV. But not as narrow as Leica’s 75. Nikon, for whatever reason, nailed it when they dreamt up the 58. And, being a Canon shooter, that little piece of magic is most obviously approximated by mounting a high quality 35, like the Art, on a 1.6 crop body. So a 35 gives me the two, to me, most desirable FOVs in one lens. Rather serendipitous with your article on the nifty 50. I just bought a 50mm f1.4G Nikkor to go on my newly acquired D750. My first thoughts ran to 24mm 1.8G (newly announced), 50mm f1.4, and 85mm f1.8G, to keep things light and versatile. I have never been a fan of the 50 and for many reasons you state in your article. I think a self assignment of only using the 50 for a couple of weeks is in order to capitalize on what I learned from your intuitive writing. Just stick with all 1.8’s if you don’t need the speed (and nobody does, really, the difference between 1.4 and 1.8 is tiny). The 50/1.8G is probably actually better than the 50/1.4G, and it’s certainly a better value. I get the impression from my experience that the 1.8G is better than the 1.4G optically, too. Great article. 50s confused me too for some time, not being wide or long, and essentially being boring. But in the last year I have been shooting a Minolta 58 and a Zeiss 50, and I find that with the correct context they can be wider or longer if shot as so, which makes a 50 a tremendous asset. Late to the party here. I was just taking some pictures for a friend to send to his relations. I used a 90 and 50mm lenses on a Sony A7 and Leica M6 respectively, and a Rolleiflex 75. I realized that I could sit the table with him with the 50 and just take pictures while we talked. Very nice framing and a completely relaxed and natural setup. 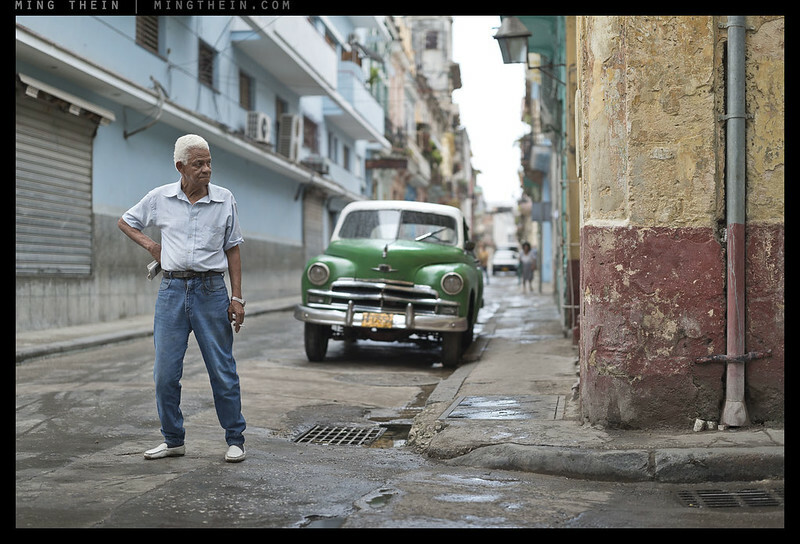 No other focal length does this – not to close, not too far – just right. With the rollei, I set it up on a tripod and used a cable release so I could take is picture without appearing to. Also, the shutter is almost completely silent, so also a very natural setup. However, he had to stay still. Interesting and informative article and many interesting and insightful comments as well (Hi TerryB!). The 50 or standard lens is the one you would like to do without but can’t. Four “standard” Nikkors in my small collection: the 1.8, 1.4 and 1.2 Ais/Ai’s, and the 58/1.4G. The latter one is a quirky piece of kit, but surprisingly versatile because it’s so light, and as long as you’re not looking for absolute sharpness. I really love the way it renders, particularly for portraits. For some reason (maybe because 58mm is a bit long) my 35/1.4G is my most used do-it-all lens on the 810. It’s really good to see you on Ming’s site. I’ve only recently joined, having permanently defected from the other one. Best wishes, TerryB. It’s not easy to ascribe to one particular point but, if I could, it would be the time “pixel-peepers” were described by the site owner as being “despicable”. Now I do pixel peep, it’s no different to when I poured over my negatives for the best one to enlarge, so what was I to make of being thought despicable because I pixel peep? But I suppose over time I’d generally lost interest. There have been some excellent posts by knowledgeable photographers, and intelligent comments from some others too, but the over-use of hyperbole and “awesome” for everything else somewhat got on my nerves. Ironically, it was a reference to Ming’s site in a post that brought me here. The quality of the photography and more restrained comments make it a saner site to visit. In the end, it’s the image that it’s all about, and the tools used to produce the image are important and sometimes interesting from a gearlover’s point of view, but in the end just tools. It’s like the racing bicycles I ride. I really love my latest custom made steel frameset (Columbus XCR, Reynolds 953 downtube, Columbus Minimal carbon front forks) and could go on for hours on the ride and build qualities like the nerd I am, but in the end it’s the rides I do with that bike (and with my other, carbonfiber framed bike) that really count. I still visit that other site, because it doesn’t really hurt to do that, and I can, or so it appears, post my images there. The discussions here though are lot more informative and challenging though. Mmm. I think I’ll have a brief look at AmericansuburbX or Lensculture to see what’s up there. I think the problem of the other site is that any discussion in the comments is unwelcome and moderated out by the owner. That really put me off. 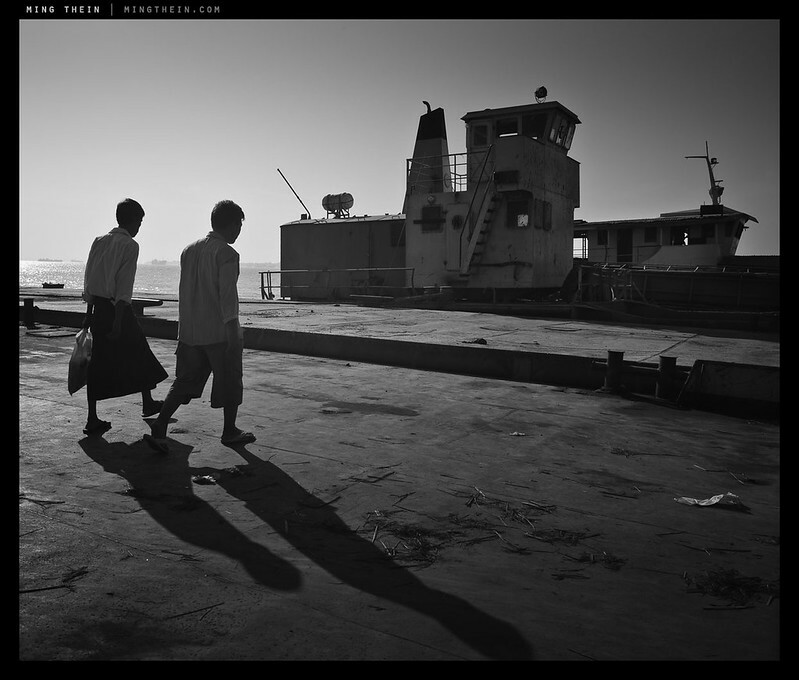 But I have been a regular reader of Ming since his Leica days although I almost never posted anything in comments. I love both the photography and texts. A good 50 mm lens is all I need. I’d like to hear your comments on the Zeiss Planar ZM 50/2. Best bang for the buck for M mount. I have a few fast 50s in M mount that I use on my Sony A7II but my favorite 50 is the Zeiss Planar T* f2 (ZM mount). Small in size, nicely engraved scales, and fun to use. Since I started using this lens my other 50s have been residing in my dry air box. Furthermore, once I got away from thinking a lens had to be fast to be good, I picked up the 35mm Zeiss C Biogon T* f2.8 (ZM mount) and I’ve been having a lot of fun with it too. 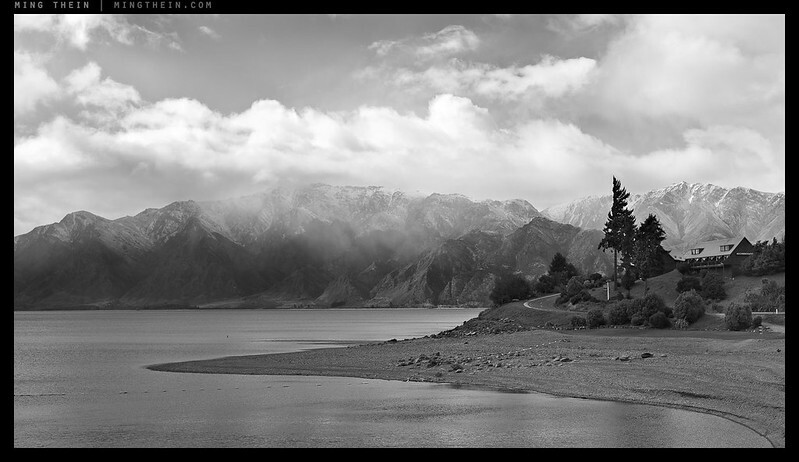 Lake Hawea I & Look out are just fantastic. interesting post as usual…it make me think i already worked with 4 canon 50mm, 3 nikon 50mm, 1 leica, 1 pentax, and some medium format equivalent….so it seems an important topic. I am curious about your idea of the 58mm 1.4 G. since i “switched” to Nikon, i am a bit dissapointed by the prime lens, and specially the 50mm. really not happy from the 1.4 G, currently using the 1.8G, better but not great, and so i had some hopes in this 58mm. It’s soft wide open and has both flare and CA in anything above moderate contrast. Not my kind of lens, but some like it. In my opinion it’s an effect lens, it renders like no other F mount 50 wide open with really nice flare, nice out-of-focus and with decent, but not clinical sharpness. Centre frame sharpness is especially good, and only corners suffer wide open. It’s focus is ok in low light which makes it perfect for weddings and such. I prefer it’s colour rendering to 24-70 zoom and use it a lot during receptions. Stopped down sharpness is great. The Nikon S3 has a 100% magnification viewfinder. I don’t think the M3 had a life size frame. 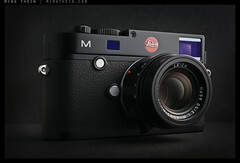 Some people argue that the S3, especially the reissue, is a better Leica than an actual Leica. You are correct about the M3 v/f magnification. It is not 1:1, but roughly .91, so near enough unless one is being picky, or who wants bragging rights that theirs is 1:1. I understand that Cosina also have a 1;1 v/f in one, or all of their Voigtlander branded models. I have read good things about the S3 v/f but whilst it has frame lines, these do not move in conjunction with focusing to provide some degree of parallax correction, as with the M3. I am unable to compare my M3 with an S3 as I don’t own a copy of the latter, suffice to say a nice clean M3 v/f and rangefinder are a joy to use, unlike some of Leica’s later r/f cameras. It’s an odd camera to use though. That little focusing wheel always feels strained, for starters…I’m afraid I’ll break something especially with older/heavier lenses. Had and used both. The nice thing about the S3 reissue is that 1.4/50 “Big/Olympic” with more modern coatings. Nice lens. Nicer in my view than the ’60s Summikux. But the viewfinder, build quality and ergonomics of the S3 – on my view – were a long way behind that of the M3. I haven’t tried the reissued SP though – that was a superior model to the S3. But at its current price I’m not interested enough to try it. Ming, I own a Contax IIa on which the Nikon S series was based and a IIIa, and a Russian copy of the Contax II, the Kiev. The focusing system is actually a joy to use and, IMO, better than any conventional rangefinder camera where the left hand has the dual function of having to turn the lens to focus and support the camera. With the Contax system, one simply holds the camera normally in both hands. The forefinger of the right hand naturally falls to rest on the shutter release and the middle finger easily rests in a position to turn the little focusing wheel. This arrangement performs better than one might think. However, the system is not without issues. The body bayonet mount is actually a double flange with the standard 50mm lenses – f1.5 and f2 Sonnars and the f3.5 Tessar – coupling with the inner bayonet similar to the usual bayonet type mounts found on other cameras, whereas the wide angle and tele lenses fit over the outer bayonet and this can give rise to increased focusing resistance if the camera focusing gears are not kept clean and oiled and with age there will be obvious wear on the focus coupling inside these lenses, and all contributing to stiff focusing. The Russian Kiev is the worst in every respect, being somewhat crude compared to the engineering of the true Contax body. I should have added that to overcome the friction of the wides and tele lenses, these lenses can also be focused conventionally from the lens itself. The 50’s have no focusing helicoid of their own, focusing is carried out by the bayonet mount moving. Any ideas why some 50’s like the Otus actually clock in at 55mm? Seems somewhat odd that in some cases, the lens drifts away from 50mm mostly up to 55 or even 58mm. That’s a really interesting question, indeed. You should not forget that often the focal length written on the lens is just an “estimate” that sounds good. When you look at my pictures (Bokeh wars article) you will realize that all my 50mm lenses capture a slightly different field of view. Add to that that most stills lenses suffer from focus breathing (changing FOV when moving the focus) they aren’t really “fixed focal lenghts” after all. Additionally, I would guess that the focal length also depends on the optical design. The Distagon and Biotar designs, for example, seem to work better with a slightly longer focal length than the Planar design. 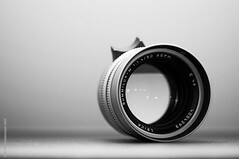 It needs to be understood that no lens is the focal length as marked, unless the manufacturer were to test each lens and mark the actual measured focal length on the lens itself. There are even variations, or tolerances, within units of the same lens. The basic premise is to design the lens to approximate the stated focal length, such that variations either side tend to cancel out. At some point, Leica did mark the actual focal length on some of their lenses by denoting on the lens not its true focal length, but by how much the lens veered from the nominal focal length. The felt this was necessary in some areas of scientific photography where the precise focal length was needed to accurately measure scale. Interestingly, there is a reason why you will see some Russian lenses marked as 52mm, and not 50mm. The story goes that when they inherited Zeiss (East Germany) after WWII and copied the Zeiss and some Leitz objectives they discovered that the true focal lengths were closer to 52mm than 50mm, so decided to use 52mm on their lenses. Whether true or not, it is a good story. The biggest culprits in falsifying the stated focal lengths are zooms, One 70-210 zoom was closer to 80-200 when tested. I’ve never been much of a 50s fan. Your pointers on visualizing the scene with either a wide-angle or with a tele look, could help tremendously with choosing a composition and making the shot. Thanks for that! After favorable initial reports about the Nikkor 50/1.8G I decided to get it when I purchased my D750. Although I’m a great fan of the 85/1.8G, the 50/1.8G has yet to impress me. I’ll probably replace it with the Sigma 50 Art (which admittedly is in a different price category). I also own the MF Nikkor 50mm f/1.2, which is a quirky lens with focus shift and quite some field curvature, but the rendering makes it fun to use. Having (very!) recently received help to install a different focus screen in my D800E, I’m expecting it to be used more (with moderation of course). Exactly that, although it’s a shame to hold onto a lens just for those reasons. Trading in the 50G will hardly help me lowering the purchase price of the Sigma 50 Art, and the change in weight will hurt too, but what’s the alternative for an outstanding AF 50 on FX? I bought the 50mm 1.8G to pair up with my new D750. The 24-120 kit lens truly is great, but I just wanted a little more bite. The 1.8G has an almost cult-like euphoria surrounding it, so it seemed to be the prime to scratch my itch. Half the price of the 1.4G and sharper to boot. I drank the kool-aid and was bitterly disappointed… the performance was so poor I chalked it up to sample variation and I simply had bad luck, buying my first ‘turd’ of a lens. My 50mm itch disappeared after that and simply shot the hell out of my 24-120. The itch returned, and I was tempted to give the 1.8G another whirl, but thought better of it. The 1.4G arrives tomorrow. Giving the wheel one more spin. Well, prescience would certainly help thing critical moments! I’ve not been happy with any of Nikon’s 50mm offerings either below f4, but at that price and weight – what can you do? Me too, did I buy the 50/1.8G with great hopes. However its general performance is NO better than that of my 50/1.4G. Additionally I find the performance of the latter more “harmonious”. Now I have acquired the Sigma 50/1.4 Art – a truly outstanding lens! Very timely. I have had a 50mm f/1.4 for several years and was never very happy with it. However, lately, it has yielded the best results overall of my various lenses. I have really come to like using the lens. Maybe i got a good one. You have added a new dimension with this article. As always, thanks for what you do. The thing about how to use a wide vs. a tele lens in terms of foreground/background relationship is one of the most important things I learned from you, Ming. It provides a really useful framework to think about a lot of scenes and lenses. Very interesting. Love the textures – is it my imagination or does the horizon run down and to the right though? Nothing gets past you, does it? 🙂 Yes, it’s very slight. 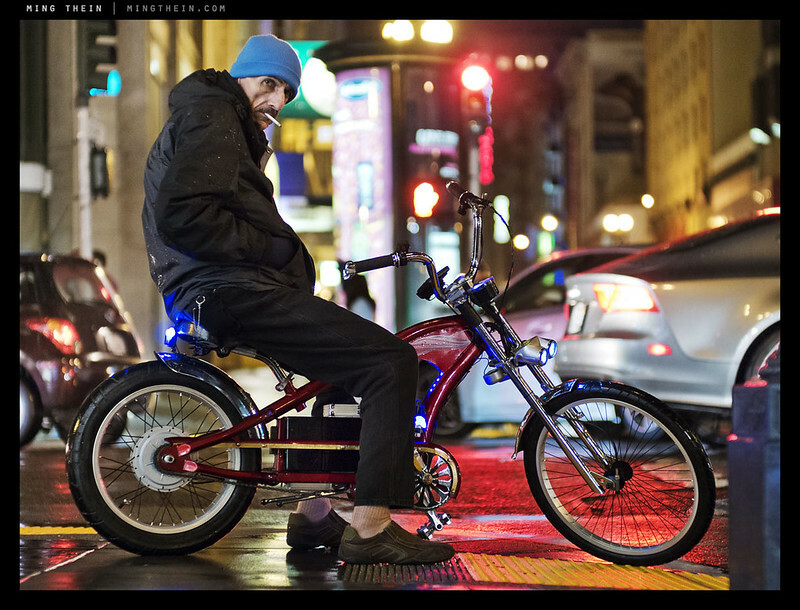 My 70-200 makes an 82mm lens … but I’ve got to put that 2/135 to work. Lovely shot Andre! You did indeed manage to evoke a wide-angle style with a mild telephoto focal length. Akin to Medium Format rendering. Kudos! Another thing that strikes me as a result of the focus stacking, is the slightly blurry sea surface mid picture. I like the texture of that. Sort of like you are using a long shutter speed with a Big Stopper. Is this part of the picture still a blend of the multiple pics of the series? Curious about your PP. Thanks Gerner and Peter. Actually, I did lazy focus stacking: I took a shot of the seaweed in focus, and another one with the oil platform in focus, and just blended them together at the horizon line. The water was indeed blurred by the long exposure (10-stop B+W MRC Nano ND filter, 30 second exposure), so I didn’t bother focus stacking that. PP was pretty straightforward: WFII to set the contrast (mild contrast curve, midtone dodge on the seaweed so it’s not too dark), some unsharp mask to bring out textural crunch, and final sharpening with Smart Sharpen. The color is a bit off due to the ND filter, but I think the otherworldly feel is right for this image. Just like many of your essays, you really know how to dissect and boil it down… even the 50mm FL. I’ve been a fan of the 50mm primes but never had I thought about it as “not wide” and “not tele” and filling the role of both depending on subject placement. That’s why I like it. The set of photos are well done and exhibit the flexibility of the 50. Thanks. Because my 35 mm (APS-C) is my fastest AF lens it’s on most of the time when I’m shooting because I don’t have to worry about switching lenses in the lower light around the house or to shoot that pretty cloud outside at sunset (I switch to the kit zoom for landscapes). And yes, when I’m outside in good light I use it for portrait work frequently too becasue I like the subject separation (even if my 85 mm adapted lens is now my preferred portrait lens). I’m also lens poor, so that probably has something to do with it! I’d love a fast 24 mm, too bad the only option for E-mount is very expensive, and the other moderate wide angle options aren’t that appealing to me. I am a novice using APS-C finding myself in a similar spot as Sean mentions. I am awaiting delivery of a rental Sigma 18-35/1.8 to try out a lens with the 24mm view. I don’t think I have the budget (money or time) to devote to switching to full frame, so I guess I have high hopes for this Sigma f/1.8 zoom? I have probably not shot the requisite tens of thousands of frames yet, but I have been somewhat frustrated by the 35mm on APS-C with some of the same things you mentioned in the last paragraph. More practice needed. But in the meantime, I’d like just to see what a 35mm equivalent on APS-C would even look like! In my experience, it is’t the same as 50mm on FF, but then again that’s not the same as 80mm on 6×6, either. It may ‘work’ for you or not – it didn’t for me, but that zoom has a good reputation anyway. Actually, Fuji are now making some excellent wides for the APS-C X-mount, but they’re bloody expensive! True – and there’s also the Zeiss 2/25 Batis, but it isn’t that wide. I hope not. The 50/1.4 desperately needs an update (one of the oldest and weakest of the C/Y rebadges), but the whole Otus philosophy is flawed. Ming actually nailed why in this post: diminishing returns. 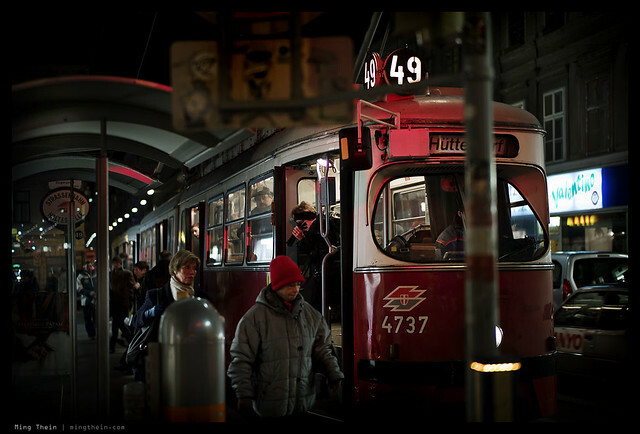 The difference between the 55/1.4 Otus and the 50/1.4 Art tells you that. The 85 at least gives you more bang for all those extra bucks, but it’s still at a huge cost. And they’re having to use ENORMOUSLY expensive exotic glass to get these middling improvements, so much so that there’s not much improvement in QC / sample variation / build quality / production method / whatever you want to call it. If it were me, I would have spent most of my money there instead of on fancy glass that doesn’t actually make a difference. I still think there’s room for a line of much smaller f2.8 Otii. ‘Tough guy’ appears to be a 50mm lens shot on m4/3, which seems out of place in an article primarily centered on FoV. ‘Before work’ appears to have been shot with a 28mm lens. ‘Tough guy’ is a 50 on M4/3, as you have identified. However ‘Before work’ is a 50, but the lens was manually mis-coded by the previous owner as a 28 – and the EXIF data is therefore wrong, and I probably also mis-tagged on flickr at the time of upload. Useless trivia time – Normal/Telephoto/Wide-Angle are technically nothing to do with focal length and are actually physical properties of the lens. A “normal” lens is one where the focal length and physical length are the same. Telephoto lenses have a focal length longer than the physical length and wide-angle lenses are the reverse. It’s perfectly possible to go out and buy a 300mm normal lens or, for that matter, a 75mm telephoto. A lens that approximates the diagonal of the sensor/film should theoretically be called a “Standard Lens” and may or many not be normal! Whether this is of any use in a modern world where the terms are used differently and what (if anything!) it has to do with actually taking photos, I’ll leave to you to decide. Hope you find it interesting regardless though. Yes, of course, your are right. In the good old days (I’m 70) and learned my skills with film, lenses were categorised into wide angle/ standard/ telephoto. But this had to be read in conjunction with the film format used. A lens may have been described as “normal” but had to be read, again, in conjunction with the film format, in particular the frame diagonal, so “normal” for a 35mm camera was around 50mm, but for 6×6 it was around 75/80mm, and for 5×4 cameras it is 150mm. What is “normal” about these lenses is they roughly give the same FoV on their respective formats. Of course, what is “normal” for the 5×4 camera has a 6x telephoto effect on 35mm. Oddly this goes out of the window with cine. The standard lens for double run 8mm is 12.5mm and 25mm for 16mm film. Both of these are roughly 2x the diagonal of their respective cine frames. Actually that bit about telephoto is incorrect. Technically, a telephoto lens is one where its physical length is shorter than its focal length. The term you’re looking for is long-focus lens. One should correctly re-state this as: its back projection distance is shorter than its indicated focal length (when compared to a long focus lens of the same focal length). It may well be that the tele lens is physically shorter than its indicated focal length, but the physical length of a tele lens is simply a by-product of the design, nothing more. I’m pretty sure you mean 47º angle of view. Good breakdown on the Fifties. They are certainly varied and complex beasts. I was recommended a 50 when I was just getting my feet wet. That was on an APS-C sensor and I bought the ubiquitous Nikon 50mm 1.8D. It was both eye-opening and frustrating, being an effective 75mm lens on that camera, but I did learn a lot. Curious, when you say the Nikon 55mm 1.4 is an “anomaly”, what do you mean? Looking at your shot of Look Out from Havana I see you used that. Really nice pop on your subject. Just wondering if the anomalous nature is a good one or a bad one. As an unimpressed owner of the 1.4G, I’m looking for something a little sharper. My bad, fixed angle of view. Anomaly on the Zeiss 55, it’s an anomaly because its apochromatic nature means the in-out of focus transition is far better defined than with most others – making it render somewhat more telephoto than the other 50s. The article literally states the Nikon 58 is an anomaly. I think that’s what Rob Campbell is referring to. 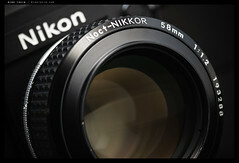 You don’t state which Nikon 58: the Noct f/1.2 or the new f/1.4, I presume the latter. Would you care to elaborate on the anomaly? Thanks for an otherwise excellent breakdown! I should have been clearer: both are anomalies, but in different ways. The 58 Noct because it has been optimized to minimize coma wide open, and with a very expensive (for the time) solution involving a hand-polished aspherical; the 58 because it is a bit of a redundant optic given it doesn’t appear to have any of the special correction of the Noct it references – yet it still has a notably different rendition to the 50/1.4G. I can’t say I prefer it personally, but it might do well where less acuity is required – portraits, for instance. 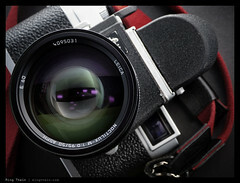 Very interesting read, and I think my favourite focal length. Lately I’ve been aware that the ‘compromise’ of a little context or a little isolation is to my eyes actually the 50’s strength. Looking back at old photos from my archive I’ve found it all too easy to either add too much rubbish with a wide or pick up uninteresting details with a short tele. Your year with the Leica 50mm is along the lines of what I have planned, and I’m hoping that sticking to one FOV for a while will improve my compositional discipline. Either way, the discipline of working with one focal length was really instructive with my X100 and this post is helping convince me to do the same again with a 50ish equivalent. I hope to do the same for 28mm and 85mm when budget allows. Ah – it wasn’t an exclusive period with the 50s on the Leica. Sorry that wasn’t clear. Great post and photos. I’ll definitely use your hints/suggestions using the 50. Thanks Ming, for the past few years the use of a 50mm as a wide/tele has intrigued me, the close-foreground wide look I understood, however the tele aspect escaped me, your explanation now gives me a basis to practice the tele aspect with some intent and predictability. I can see why you find 35mm a bit vanilla; and like you, I prefer a 50 plus a 28, although I think I’d take the 28 (or equivalent) to my desert island. I have to say though, despite its relative lack of artistic merit, there’s something quite objective about the 35. In point of fact, we actually don’t see in 28mm or 50mm do we? There’s a confusing paradox between angle of view and magnification: look through the view finder with a 28mm lens and your subject ‘loses’ magnification and becomes smaller, causing you to move closer and thus exaggerate the foreground. I think you wrote somewhere else that you ‘see’ in 28mm because it matches your field of view when not focussed on anything in particular, but in a photograph you’d probably find your subject too small unless you moved in closer. I think people regard the 50mm as closer to what we see because the MAGNIFICATION looks more like what we see with our eyes; look through the view finder with a 50mm and your subject looks about the same size but you’ll capture less of the scene. It’s easy to see why people still argue about the ‘standard’ lens! Anyway, back to the point, the 35 does offer something of a useful compromise between natural magnification and field of view. If you want to record something rather than create a work of art, that has something going for it! For me, the greatness of the 50 is that it can isolate my subject in a fairly natural way, without causing the background to vanish into the distance, but the 35 still has a little extra objectivity in the foreground/background balance. A great article and an enjoyable read. I just wish prices in Australia were as reasonable for lenses, let alone other camera gear. Nothing stopping you from getting them from overseas? I’m a Nikon user and even Amazon will not export to Aus. Can buy imports from a few dealers here but the price differential-v- the warranty issue means it’s not worth the risk. Next time I travel I’ll make sure I buy what I need at my destination. You can always have it sent to your destination, and the Japanese second hand dealers are both reputable and will ship. I have the same challenge because Amazon doesn’t ship to Malaysia either. Thanks for the info, next proposed purchase I check out some OS options. My preferences changed in the last few years. I used to prefer the 35 mm FOV (I loved my Zeiss ZF 2/35 mm on the D3) but migrated more and more towards the 50 mm FOV. 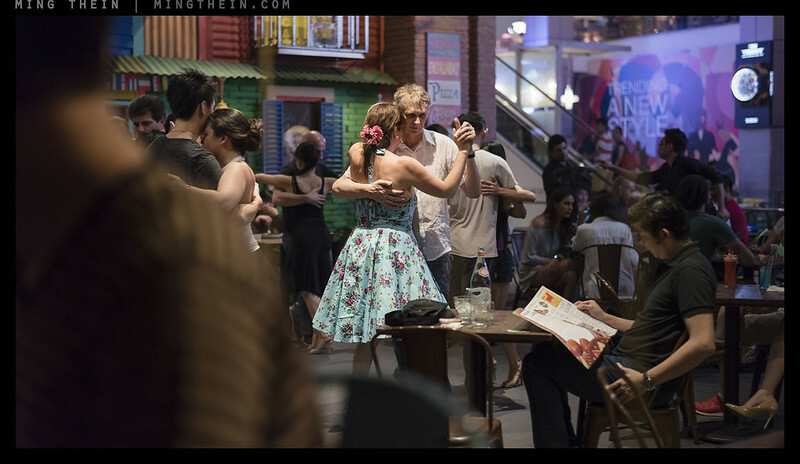 I used the Fujifilm X100T nearly exclusively with the WCL-converter, providing the FOV of 28 mm. Currently, my minimal setup and walk-around-lens is the Fujinon 1.4/35 mm on my X-E2 – a combination I really prefer and would chose any time when only one lens can be used. I believe it should be pointed out that perspective does not change with focal length; this is a common misapprehension and one will find it repeated again and again by the misinformed because they have read it somewhere. However, if one shoots from the same camera position to subject position and subject to background distance remains unchanged, then the perspective remains the same irrespective of the focal length chosen. All that changes with the different focal lengths is FoV, and DoF(for any given aperture). It is by one’s manipulation of these distances that one is able to manipulate/control perspective, and with any choice of focal length. Just checking in to say I’ve found the all the articles on the 50s comparision in you blog an interesting read, specially the one abou radioactive lenses. There are quite many 50s in the market and they can have interesting differences. Some I use rarely and they have a distinct look, other are more universal in application. A 50mm prime in my bag is as important to me as to bring the camera body along for the shoot. It is ‘the’ lens that comes closest to the way I see. So so much for the 50mm territory. talk. What I really want to point out in this article is the magnificent phographs you have made with this focal Ming. These image are certainly not strile or cold, but on the contrary alive, vibrating, colorful (except the B&W’s of course), shows great ideas and tell stories, is perfectly composed and very far from being boring. They are literally speaking quite fantastic IMO. I agree with you Gerner. I like “look out” and “the dance” and it is interesting to see examples of the 50mm being used to both compress/stack the background in some cases and promote the foreground in others. I mostly shoot with a 35mm, not because I have a particular liking for this length but because it’s what happens to be available to me. There are no doubt significant important considerations in choosing an optimal focal length (i.e. compression, distortion etc), but for me (right now) it’s all about moving your feet with a a 35mm: a couple of steps back, you have a 28mm perspective and a couple of steps forward, you get a 50mm perspective. I’m not sure I agree with that. You may get comparable field of view, but the perspective relationship between foreground and background definitely isn’t the same. The 28 emphasises a lot more, the 50 slightly less. (Perceptual differences diminish for a given absolute delta in mm as you go longer). I don’t necessarily agree or disagree, but I wonder if you could prove or illustrate this with real life examples. It might be an interesting experiment. Seriously, you should just do this yourself if you’re interested. Take your kit lens and go photograph something at 28mm, then change to 35 and take a few steps back until you get the same FOV, then change to 50 and step back further. When you have three photos with the same FOV but different perspectives and different foreground/background relationship, the difference will be very apparent. I only have two lenses: 35 and 85. I’ll have to go shoot something next time I have a zoom handy – easier to compare 28-35-50 than playing musical lenses. That would be great. Might also be interesting to do a “can-you-guess-the-perspective” type exercise. The 50mm lens always struck me as the most versatile prime lens. One can stand back from the subject and use it like a moderate wide angle lens or move in closer and treat it like a moderate telephoto lens. It’s a great lens for learning the fundamentals about composition, depth of field, and exposure. And it’s usually the brightest lens in one’s gear bag. Even so, I still prefer short tele macros as my favorite primes, but the so-called standard lens will always be a staple. Oddly, I suspect it’s harder to design a good, bright 50 than most of us think – it’s just wide enough that you need a retrofocal/telecentric design to have really good corners, but at the same time long enough that most manufacturers don’t bother – and we see lenses that are fast but still need stopping down to have good cross-frame performance as most are double gauss-derivatives. The double gauss form need not be left to achieve superb performance. The central doublets cause strong oblique spherical (typically mistaken for coma, which is extremely well corrected in most double gauss lenses) but that can be tamed with skill. A double gauss lens will quickly stop resembling itself if you push it to solve issues, however, and many would begin with a retrofocus layout in order to begin with more degrees of freedom for optimization. However, by inserting a field flatterner into the central airspace, un-cementing one of the doublets, and allowing more liberal glass selection, it has been shown that the double gauss form can provide extremely even and well-tempered performance. 🙂 My favourite 50 too – it renders very much like a tele, but with careful foreground distance management can almost get the impression of a moderate wide. I think that everyone has a preferred focal length, which they discover either early in their photographic experience or later. I’ve found that short tele is mine: around 75mm. I found this from shooting a LOT with my DP3 Merrill, which is a 50 on what’s more or less an APS-C body. I also have, as a hand-me-down, a Canon film camera with a 50mm on it, and I always found that a very natural viewpoint. Like yourself, I can’t get into 35mm. I’ve tried the Fuji X100 (and S); great quality, but that focal length just doesn’t work for me. Since I got my iPhone 6 plus, I’ve shot with it quite a bit and somehow it works for me, so I also seem to be acquiring an affinity for 28. 75 is interesting because it’s uncommon (other than the wide/long ends of zooms) as a prime – I found I kept trying to compose for 85mm when I shot the DP3. I’m weird in the sense that my preferred focal length changes depending on camera. For 35mm, I am completely fine and happy to use it as my “desert island” camera if it is on a rangefinder or rangefinder-styled body like the X100… but on a TTL device like a DSLR or mirrorless camera, I somehow feel restricted by it and prefer 28mm. On the other hand, I am completely comfortable with 50mm regardless of camera type. How many times have we read that it is to do with the diagonal of the ‘sensor’? Your explanation makes much better sense – the neutral perspective point for the composition of subject, foreground and background. It’s also the point that those who say “zoom with your feet” about primes miss about perspective. It’s also, as you state, a reason why 50mm can be creatively difficult – no compression or expansion visual tricks given to support the photographer’s vision of the scene. I think you got right to the nub of the fifty here Ming. Thanks Linden. I suppose that’s why they’re both liberating and frustrating – personally, I’ve found the 50 one of the toughest FLs to master – but also the most versatile. Great advice to shoot it like a wide stopped down or as a tele wide open. I’m glad you highlighted this. I shoot better with a 24 and an 85, rather than a 24-70 zoom (or 50). That (“versatile”) wide – tele transition is a fuzzy place for the amateur’s mind.